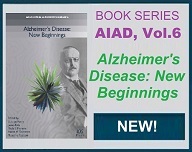 Each year, the Associate Editors of the journal select the best article from the previous year's volumes. 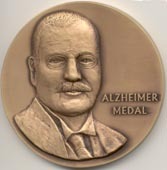 The awardee is presented the Alzheimer Medal, a 3" bronze medal with the likeness of Alois Alzheimer, and a cash prize of $7500. This yearly award is made possible by support from IOS Press. 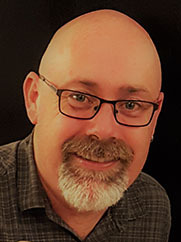 Greg Kennedy received his undergraduate degree in Psychology and Psychophysiology in 2010 at Swinburne University of Technology. He then completed a first-class Honours degree in Psychology in 2012, investigating the relationship between cognitive aging and cerebrovascular functioning, before joining the Centre for Human Psychopharmacology at Swinburne University of Technology, where he is currently a PhD candidate working with Professors Andrew Pipingas, Andrew Scholey and Denny Meyer. His research has included the effects of diet and nutrients, such as cocoa flavanols and polyphenols, on cognition and vascular health. 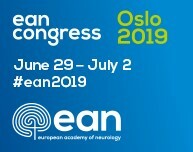 However his primary focus as an early career researcher is on exercise and fitness as a way to attenuate the rate of age-related cognitive decline in older people, and researching the associated underlying mediating mechanisms. 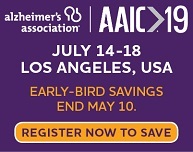 The current lack of long-term, effective pharmacological treatments, warrants a strong focus on prevention strategies in the efforts to reduce the impact of cognitive impairment and onset of dementias such as Alzheimer’s disease (AD). Exercise is potentially a low-cost, effective and easily implemented intervention, with no intrinsic negative side-effects. Exercise has been found to improve cognitive ability, reduce the rate of age-related cognitive decline, and even significantly mitigate the lifetime risk of developing AD and other dementias. The mechanisms underlying such positive effects remain unclear. 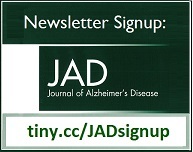 In the winning paper “How Does Exercise Reduce the Rate of Age-Associated Cognitive Decline? A Review of Potential Mechanisms” (J Alzheimers Dis 55, 1-18, 2017), Kennedy et al. examine pathways via which exercise may maintain or improve cognitive functioning during senescence. These include physiological effects of exercise on modifiable risk factors such as vascular function, BDNF production, insulin sensitivity, stress, and inflammation. A greater understanding of these mechanisms and their relationships with exercise and cognition may provide potential biomarkers for investigating the efﬁcacy of different exercise regimes on cognitive outcomes. To this end, Greg and his colleagues have implemented the Lifestyle Intervention in Independent Living Aged Care (LIILAC) study, a clinical trial of exercise and dietary interventions on cognition in people residing in independent living accommodation communities. Because severe cognitive decline and dementia are the primary reasons for transition from independent living to aged care, this is an important population to work with, as they are generally at a stage of life where lifestyle interventions still have potential to be protective. Reducing the rate of this transition has significant social and economic benefits for both the individual and society as a whole. “Physical Fitness and Aortic Stiffness Explain the Reduced Cognitive Performance Associated with Increasing Age in Older People” (Kennedy et al., J Alzheimers Dis 63, 1307-1316, 2018) is the first exercise/fitness outcome paper from the LIILAC study. 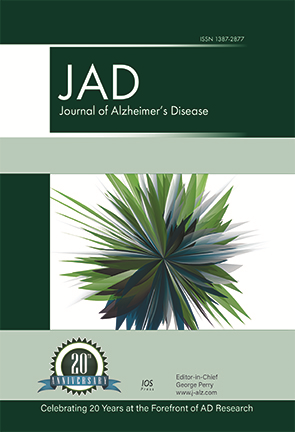 This study, and future research in the area, will help to elucidate the complexity of the interactions involved in exercise-based amelioration of age-related cognitive decline detailed in Kennedy et al.’s (2017) review, and contribute to the evidence base for the potential use of exercise as an effective intervention strategy.